Why would a group of college students physically attack a professor in order to show their disapproval of an invited speaker? Why would students demand the resignation of a professor because his wife told them to relax about the politics of Halloween costumes? Only a few college students actually behave this way—and there’s a pattern to it. There’s a long history to this sort of thing. So, first, who are the students who are staging these sorts of shut-down-speaker protests? As usual, Jonathan Zimmerman hit the nail on the head the other day. Students at elite schools like his tend to be more aggressively united in their leftism. What seems normal at Penn and Yale, though, isn’t normal at most schools. the schools where students have attempted to disinvite speakers are substantially wealthier and more expensive than average. . . . The average enrollee at a college where students have attempted to restrict free speech comes from a family with an annual income $32,000 higher than that of the average student in America. So it seems safe to say that richer students at fancier schools tend to be more likely to stage this sort of shut-up protest than college students in general. Of course, we don’t know for sure in every case, but the tendency is clear. It adds a moral dimension to these protests that needs more attention. We’ve been down this road before. 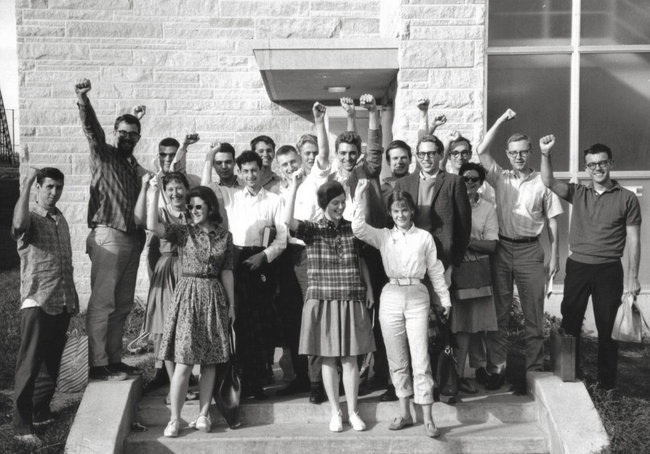 In the 1970s, a group of elite college students broke off from Students for a Democratic Society to form the violent militant group Weather Underground. They didn’t do much, but they wanted to. By the 1970s, the FBI was after them. Okay, but did they contribute to the alumni fund? They weren’t just run-of-the-mill college students. Bill Ayers’ father, for example, was CEO of Commonwealth Edison. Ayers the Elder even has a college named after him at my alma mater. That’s not something most Americans have experienced. Bernardine Dohrn grew up in the tony Milwaukee suburb Whitefish Bay. (When I taught high school in Milwaukee, the kids jokingly referred to it as “White Folks’ Bay.” Ha.) She graduated from the super-elite University of Chicago. Clark also attended the University of Chicago. Boudin’s father was a high-powered New York lawyer and she went to Bryn Mawr College. Their elite backgrounds and college experiences mattered. Weather rhetoric was flush with talk about their privileged status and the need for white elites to act violently. Again…so what? What does this prove? It helps us understand college protests that don’t seem to make common sense. Why would a group of college students assault a professor to protest against racism? Why would they react so ferociously to a seemingly innocuous comment about Halloween costumes? Because—at least in large part—students from wealthy families at elite colleges are in a peculiar pickle. If they are at all interested in moral questions, they find themselves in a tremendously compromised moral position. They are the beneficiaries of The System. They are the ones who profit from America’s imbalanced racial and economic hierarchy. They enjoy their cushy lifestyles and glittering future prospects only because they were given an enormously unfair head start in life. If you care at all about social justice, that’s a heavy burden to bear. One way to handle the strain is to go to extreme lengths to signal your rejection of The System. Though protests at fancy colleges may seem strange to the rest of us, they make sense if we see them as demonstrations of rejection, as proof of position. In other words, some students at elite colleges—at least the ones who do the reading—are desperate to demonstrate that they are not happy with racism, sexism, and class privilege. They need to show everyone that they are not lapdogs of the exploiters. Their protests are not only about changing policies, but about proving something about themselves. And those sorts of protests will necessarily swing toward extreme actions. In the end, we will only scratch our heads if we try to figure out why liberal students insist on illiberal policies in terms of day-to-day political strategy. Instead, we need to see these protests as shouts of separation, desperate and ultimately ill-starred attempts to prove that students from the 1% are standing with the rest of us. The folks at Scienceblog recently reviewed the findings of Gordon Gauchat, a postdoctoral fellow at University of North Carolina. In his study, Gauchat found that Americans who self-identify as conservatives trust “science” less in 2010 than conservatives did in 1974. In contrast, self-identified liberals and moderates kept a stable attitude toward “science” during that period. So what do these findings tell us? On first glance, it might seem as if conservatives simply don’t like science. After all, we’ve seen a rush to denigrate climate-change science and evolution among 2012’s Republican Presidential candidates. This confirms some culture-war stereotypes, which paint Fundamentalist America as the hillbilly redoubt of Nascar, meth labs, married cousins, and a hatred for all forms of higher learning. But the study needs a second look. The level of respondents’ education had an inverse relationship to their reported trust of “science.” That is, conservatives who had more education tended to trust science less. This is not about anti-intellectualism or anti-science, at least not as such. Did this disdain for the culture of higher education mean that the intellectuals of SDS were anti-intellectual? No, what it signaled was an active disdain for the dominant culture of American higher education. In less than a decade, this anti-establishment impulse among well-educated young leftists had careened down a startling path and mutated into a very different animal. By 1970, the scattered remnants of SDS had resorted to bombing the Pentagon, army bases, and—accidentally—themselves. 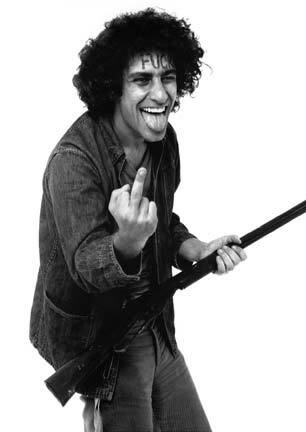 Leftist disdain for the establishment had morphed from the smiling, fist-shaking intellectualism of the 1963 SDS meeting pictured above into the gleeful nihilism of Abbie Hoffman pictured below. So what might this analogy tell us about the feelings of today’s conservatives and fundamentalists about mainstream science? For one thing, it suggests that the proper term here is not “ignorance,” but “disdain.” Well-educated American fundamentalists are not ignorant about mainstream science, but they feel a deep disdain for it. That disdain has increased in the last generation as alternative intellectual institutions have propagated an anti-establishment culture. Other studies have supported this intuition. As we reviewed here recently, Jonathan Haidt’s Righteous Mind included a survey of 2000 respondents. In this study, self-identified conservatives and moderates were very good at predicting the moral responses of liberals. Self-identified liberals, on the other hand, could not guess what conservatives might say. This suggests that Fundamentalist America is well aware of what liberals think, but liberals have allowed themselves to become ignorant of other intellectual options. Let’s return to our analogy to see if it helps explain this phenomenon. If fundamentalists in 2010 share the disdain for mainstream intellectual culture that was espoused by well-educated young leftists in the early 1960s, what might be the results? In the case of the Left, this divorce from academic culture was merely a trial separation. 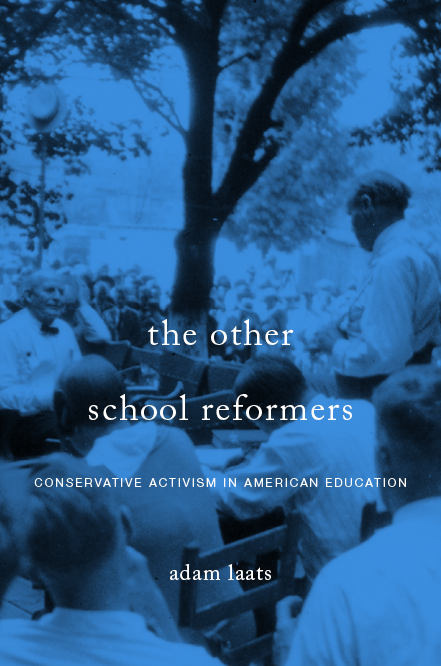 Most of the student radicals of the 1960s and 1970s ended up the boring center-leftists of the 1990s. The academically inclined among them founded or joined friendly academic centers hoping to eliminate racism or poverty or war. The more talented and lucky managed to open new fields of study and press for new visions of education, promoting successful “ethnic studies” programs and multicultural education initiatives. For a small minority of 1960s/70s leftists, those who followed the logic of anti-establishment culture to its bitter 1970s conclusion, this meant increasingly bizarre forms of dress and behavior, meant to signal distance from the establishment. For a tiny fraction, this meant political and cultural violence, such as bombs at the Pentagon and Days of Rage. Just as the 1970s witnessed a huge increase in Left-friendly academic centers and fields of study, so this widening cultural distance between educated fundamentalists and mainstream science and academic life should lead to an increase in fundamentalist-friendly academic centers like this one. It will lead to a deepening division between types of well-educated people; it will force Americans to confront their notions that there is one “correct” version of science and intellectualism.